to be paid via paypal to reserve any boat for any given trip. and 16% Mexican IVA tax. 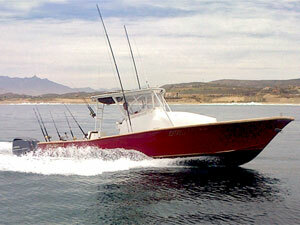 Center consul Offshore parker--state of the art fishing. 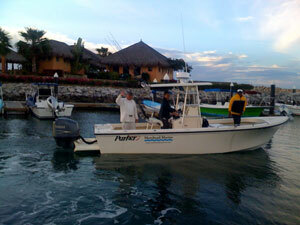 Fully equiped with gps, radio, radar, furuno fish finder. 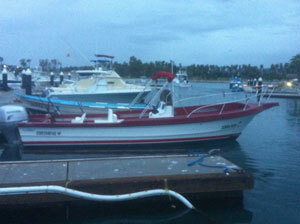 Very stable, comfortable wide boat easy to walk around and fish. Great for longer trips that don't require the size of some larger boats. The Newly Finished Estrella del Norte, L.D.C. Built specifically for comfort, speed and to master the BIG offshore tuna. 6 People with Cabin and bathroom.